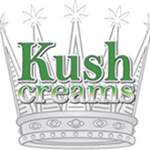 Based in Seattle, Kush Creams is among Washington State’s original infused topical companies. Their product line includes shampoo, conditioner, lotions, creams, and tinctures. The company has won a number of industry-specific awards dating back to 2008. According to the team at Kush Creams, the secret to their infused topical products is emu oil. They use it as a base, because it is able to permeate the skin down to the epidermal layer. Green Gold is a young company committed to creating a gourmet edible with the finest local organic ingredients available. Keeping it gluten free and vegan whenever possible while not sacrificing a flair for the indulgent. With an assortment of treats ranging from sweet to savory choose from a maple-glazed oatmeal-bacon cookie to an Italian flat bread crostini. There is also a spin on the child hood favorite PB&J which comes as a bar with a variety of jams to choose from such as raspberry , blackberry or classic grape. All of their products are hand-made and lab-tested. Based in Colorado, Standing Akimbo is a premier Medical Marijuana Dispensary and Infused Bakery. It is a small Colorado native owned shop with a comforting and welcoming environment. The company prides itself on their freshly baked edibles and some of the finest medical cannabis around! 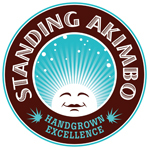 Standing Akimbo currently carries a delicious array of sweets and savory snacks, from their Cannabis Cup winning Pecanna Bars and Bubble Brownies to fresh made to order hot and delicious medicated pizzas. With an ever changing menu of in-house food items, they are constantly striving to create the best products available on the market. CannaBliss is an MMJ Edibles company based out of the Central Valley, CA. Our goal is to provide alternative forms of medication. From the classic Canna-Brownies to treats like Canna-Almond Rocha and Canna-Jerky. With a constantly “evolving” menu and the promise of DELICIOUS, high quality edibles at a home made price; you are SURE to be satisfied. Give us a call for menu and availability in your part of CA.